Download Sculptris, begin with the Clay Sphere, and make a face by using the Draw and Crease buttons. Then use the Grab tool to make a nose and ears. 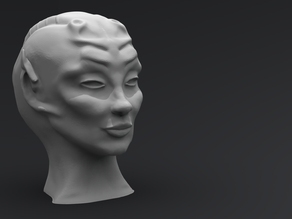 Some of these were created from scratch in Sculptris starting with a virtual ball of clay. 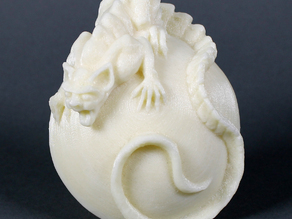 Others were models that originated elsewhere but were cleaned up and optimized for 3D printing using Sculptris. You can make an amazing variety of characters and forms with Sculptris. This is a collection of people, animals, plants, and other wonderful things. Organic designs with bilateral symmetry are particularly suited to this modeling method. 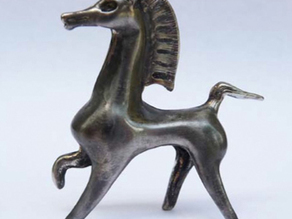 Designs created by combining Sculptris forms with models from other programs, or by starting with models in other programs and then modifying them with Sculptris. Combining Sculptris with other tools is good for models that have both flowing and geometric components. To start using Sculptris, find the Free Download button at Pixologic and install Sculptris on your computer. While it is possible to use Sculptris with a trackpad, the software works best with a mouse or stylus and tablet. Using Sculptris becomes natural after you learn how to use the controls, hot keys, and brushes. Keep these handy reference documents nearby while you work with Sculptris. The official Sculptris Manual is highly recommended. You can find the manual inside your Sculptris folder after downloading the software. The Sculptris Cheat Sheet is a quick reference for the most commonly used Sculptris shortcuts. Once you’re comfortable with the basic controls and brushes in Sculptris, you can take your design skills to the next level by learning from these more advanced videos, courses, and lessons. Lessons and online notes: Learn along with Mr. Brooks, who developed three Lessons with videos and notes for introducing Sculptris to his online animation class. Lynda.com: Although Lynda.com courses aren’t free, if you have access then you can use it to enjoy Lynda.com Scupltris Essential Training, a complete how-to Sculptris course. Speed Sculpt video: User purita on Thingiverse created a nice Lion Head model that you can download and 3D print. You can also watch purita make this model from beginning to end in thier Making of Lion Head video on YouTube. Sculpting from a reference image: Watch Ryan Kittelson, the instructor of the Lynda.com course above, sculpt a character from a reference image in the Sculptris digital sculpting tutorial. Create a Cartoon Character: Learn how to create a fun cartoon head with 3DToons.tom, by watching 3DToons Sculptris demo with this throrough and highly informative video tutorial. Use Sculptris with Cinema 4D: Learn from Mr. Brooks how to use Sculptris characters in a Cinema 4D scene and how to manage the complexity of your mesh by watching the video Workflow between Scultpris Cinema 4D + being mindful of your poly/tri count. Our own MakerBot Learning team offers the following quick tips for working effectively when designing 3D models with Sculptris. When adding a new sphere or plane, the new and previous objects are treated as separate objects. To join them, click and drag in the open plane while holding Command on a Mac or Control on a PC. Learn more in johnnybrevo’s video about how to combine objects in Sculptris. When adding a new sphere or plane, the software defaults to establishing an XYZ axis at the center of that object. Turn off the axis by clicking P.
If you’re hoping to proportionally scale your entire model or a selection of your model, then turn on the Global feature after choosing the Scale brush. If Global is not turned on, then the Scale brush will operate like a sculpting tool that adjusts the mesh but not the overall size of the object. You can import an orthographic 2D view of the object you are modeling as a background into Sculptris to provide a working reference. To turn on this feature, click the Options button and then click Background. Make sure that the image is sized appropriately for your screen so that it is not stretched or distorted. 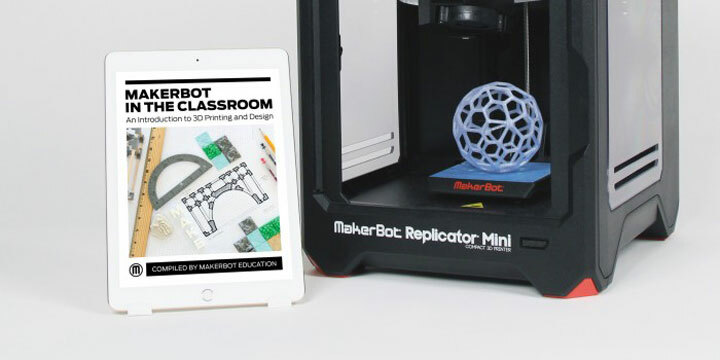 If you’re an educator looking for a classroom project built around Sculptris, you might be interested in the book MakerBot in the Classroom: An Introduction to 3D Printing and Design. Download a free copy of the book, which includes a full Sculptris tutorial and set of fossil-making projects. Watch the free walkthrough videos from MakerBot Learning of the Sculptris projects in the Handbook: Design a tooth fossil and Design a shell fossil. 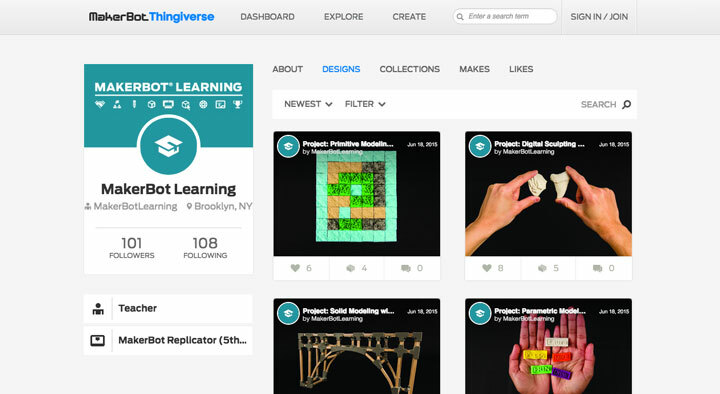 Explore the free 3D files on Thingiverse that go with the MakerBot Learning Sculptris Fossils project.